Marco Tozzi brings us 28202/20/001 HECHO 81. These glittering black heeled sandals can be worn during the day or as an alternative to court shoes for an evening event. The clean lines of the design are enhanced by a stripe of diamante and jewel-like embellishment down the centre strap. 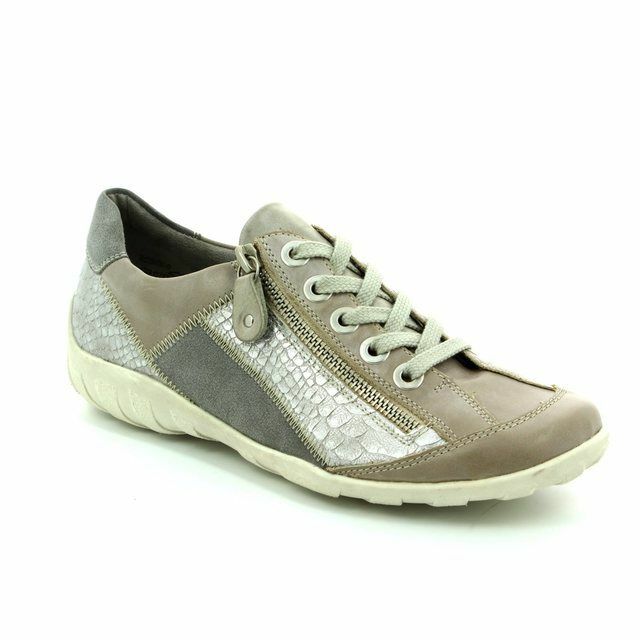 The straps are made from the same soft suede-like material that covers the shoe for a sophisticated look. 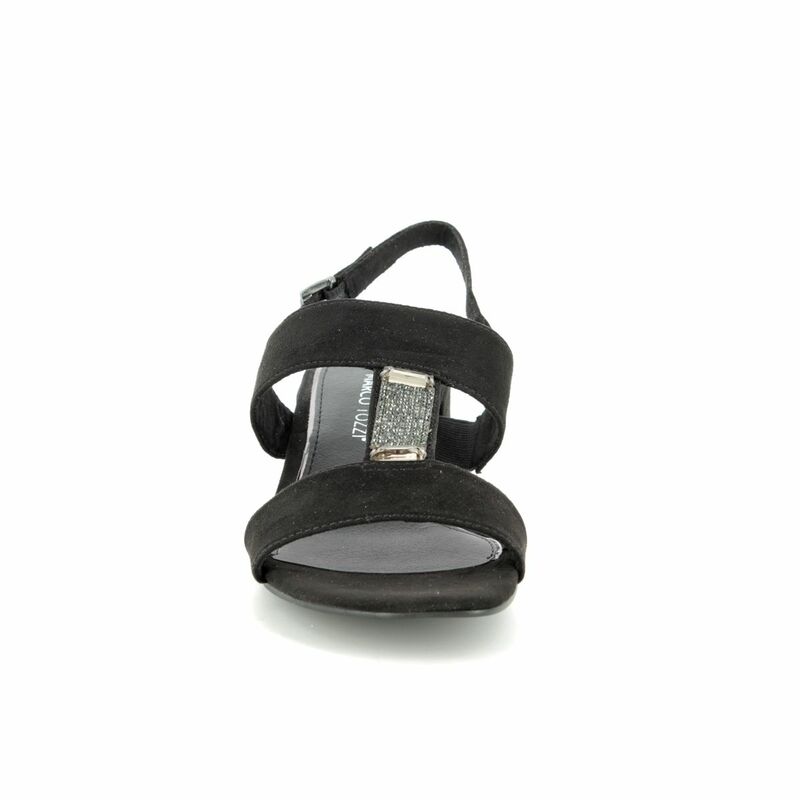 The ankle strap has a buckle fastening to allow for an adjustable fit. The block heel is very on trend this season and measures approximately 4.5cm. 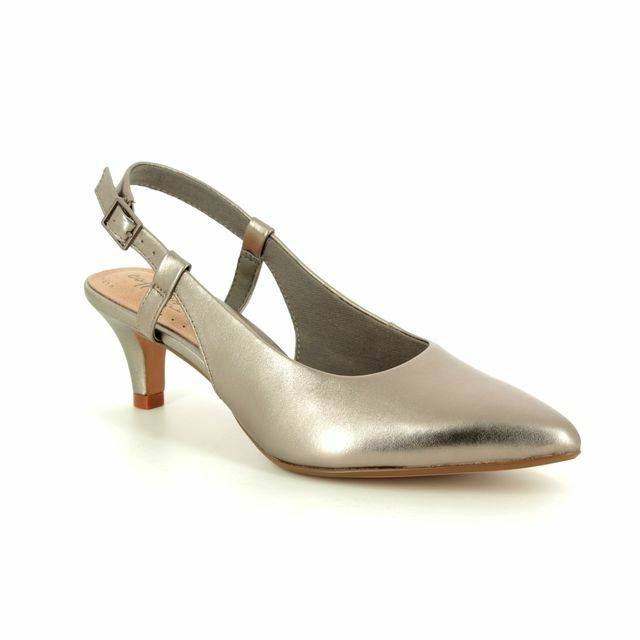 Buy your Marco Tozzi women's heeled sandals from Begg Shoes, an official Marco Tozzi stockist.